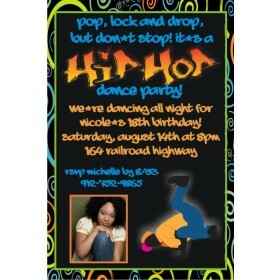 Hip Hop Graffiti Photo Invitations. 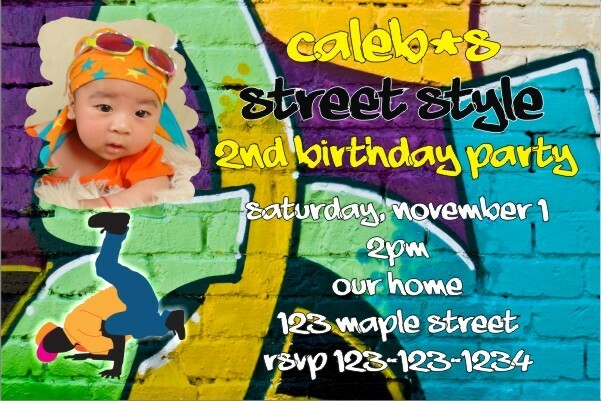 This birthday party invitation features a colorful graffiti wall and a spot for a photo. 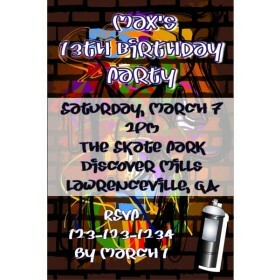 The graffiti font of the party details complete this invitation. 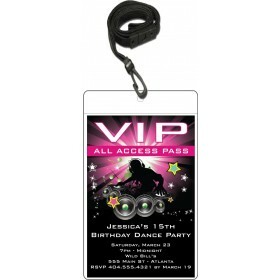 It's great for an urban, rap, hip-hop or 80s theme birthday party. 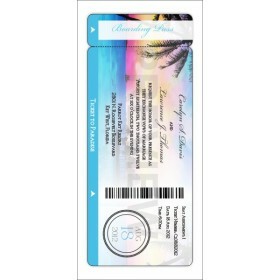 Kids and Adults will love this invite.